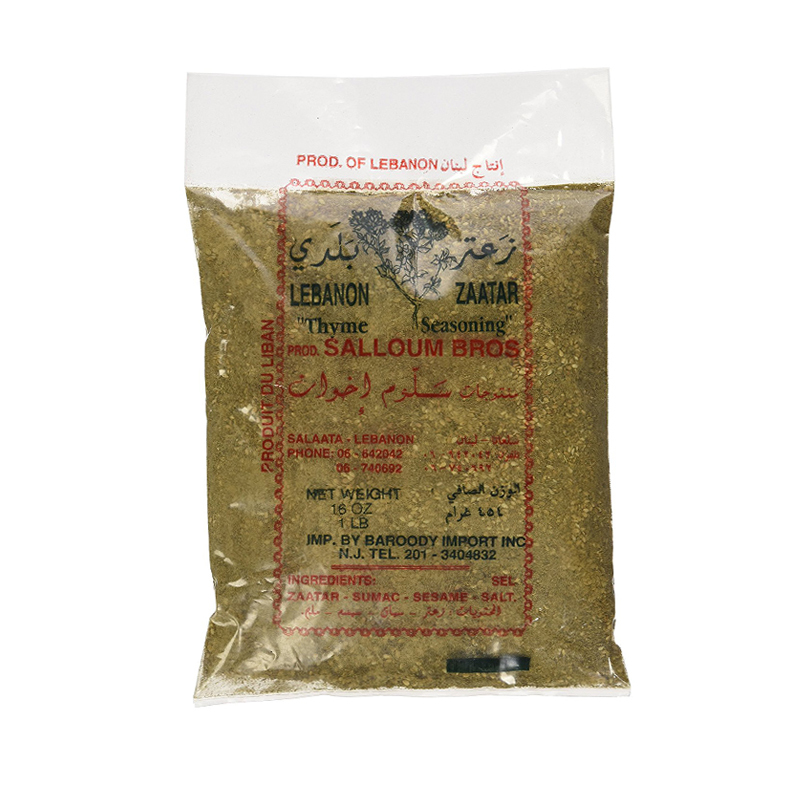 Zaatar is a spice mix developed in the Middle East. It is mixture of herbs and spices typically containing thyme, sumac, sesame seeds and salt. The fragrant blend is used on the popular Lebanese breakfast pizza known as Manoush. It can also be enjoyed as a sandwich spread when blended with olive oil. Zaatar is a versatile ingredient with many uses. It can be used as a sprinkle to flavour salads, fried and poached eggs, and makes a delicious rub and marinade for vegetables and meats. Caroline and Georges Salloum continue an old family tradition in their hometown north of Beirut Lebanon, Selaata. Producing what is regarded as the best Zaatar in Lebanon, the Salloum family produce other quality products including Marmalade of Fig (Jam) plus a range of molasses using Carob, Dates and Grape. Their famous Zaatar is a natural product traditionally dried in the sun and mixed with sesame seeds and sumac. Harkola is the exclusive distributor of Salloum quality products in Australia.